In the summer of 2015, a small number of MEG members independently approached the Committee to enquire why the Journal of Museum Ethnography is not peer-reviewed like many academic journals. This is not the first time that the matter has arisen, and the Committee are keen to establish a policy on this which will resolve the issue for some years. 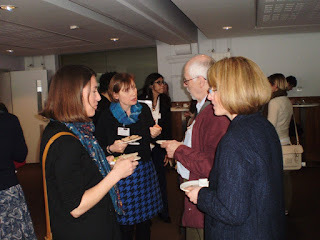 The Committee discussed the possibility of the Journal becoming partly or wholly peer-reviewed, and – realising that the issue strongly divided opinion among themselves - resolved to organise a debate on the issue at our most recent Annual General Meeting on Tuesday 19th April 2016. Conference delegates participated energetically in the debate and the position statements for and against are reproduced here for all MEG members to read. We are now asking all members of MEG to vote on this issue, by emailing secretary@museumethnographersgroup.org with the subject line ‘Peer Review’ and either ‘Yes’ or ‘No’ in the body text. In this case, a ‘No’ vote will indicate your wish for JME to continue as it is without the peer-reviewing of any contributions. A ‘Yes’ vote will indicate your wish for JME’s editors to initiate a practice of peer-review for some journal content, likely to commence with JME 31. Members should feel free to express any further opinions on the matter alongside placing their vote. The results of the vote will be publicised after voting closes on 30th June 2016. Sarah Byrne, Current Editor of JME, Horniman Museum. When I took over the editorship from Jeremy Coote, one of my first questions as someone who had recently been a funded researcher in the university sector was to eagerly ask ‘Why is JME not peer reviewed?’ At the time I understood in theory Jeremy’s position about fostering a more open forum for ideas and debates and research within the museum sector. And the important role JME had to play in allowing people to publish good papers in a journal with a solid reputation who might traditionally shy away from the peer-reviewed world. Not that I think JME has suffered over the years from a lack of papers from academics and people who also publish in higher ranking journals. The key thing about JME though is that our contributors are a varied bunch. I think that is one of its strengths. Whilst I am totally sympathetic to the Research Excellence Framework issues faced by colleagues in the third level sector and constant pressure to publish in high-ranking journals, I have to say that over the last two years of editing JME I have, through experience, come to agree with Jeremy that JME becoming peer-reviewed is not the best thing for its future. JME effectively is a conference proceedings journal with added extras (Research Articles/Reports and Reviews). Not to state the obvious but we are totally dependent on what comes out of the conference each year. Some years might produce enough papers that would be good enough to get through peer review- other years it may not. Take the scenario that only 3 of 5 written papers submitted pass peer review. Or the corrections are too big for an author to manage in the time-frame. As the conferences are thematic we cannot necessarily include a late reworked paper in a later issue. How do we then proceed in order to get an issue of JME ready in time for following year’s conference? In addition, as we don’t have a policy of open submission, we do not have an active pool of papers to draw from if a paper is unsuccessful. An argument could be put forward that the Research Articles section could be peer reviewed- here we do have an open submission policy. On paper this could work (although I cannot say I know of another journal that is part peer reviewed). I feel this would put people whose conference paper is of a good enough quality to pass peer review at a disadvantage. Why publish in JME in a non-peer reviewed section when a peer-reviewed section exists? I believe this could create animosity and discontent amongst our colleagues who submit to JME and need REF points. It might also mean people put less effort into turning their conference paper into well written papers. If JME papers are to become peer reviewed the whole structure of how we operate and what we produce would need to change. Our current encouraging stance regarding young researchers and those of a less academic background in the sector would inevitably have to change. This could put people at a disadvantage for being selected to speak at the conference, let alone publish in the journal. This is not I believe in the spirit of MEG. How Would Peer Review Work? Getting articles peer-reviewed is far from a straight forward business. There is substantial effort in getting and indeed keeping appropriate reviewers. It is very time-consuming and it would slow down the publication process greatly. Most peer reviewed journals have a team of paid staff that make the system work. Indeed peer review is the reason why you see so many journals being taken over by central publishers- they have a quick and more central system of managing the peer review process. Jeremy did so much work getting JME to the professional state it is in. It has a very strong house style and in my opinion is produced to a really high standard. People understand that JME isn’t peer reviewed but I get the impression that many people choose to publish in JME for reasons other than REF points- especially because they know the journal is circulated amongst a large group of their peers. There is so much competition between high-ranking journals, something I am not sure we want to be part of. JME currently has a solid niche. 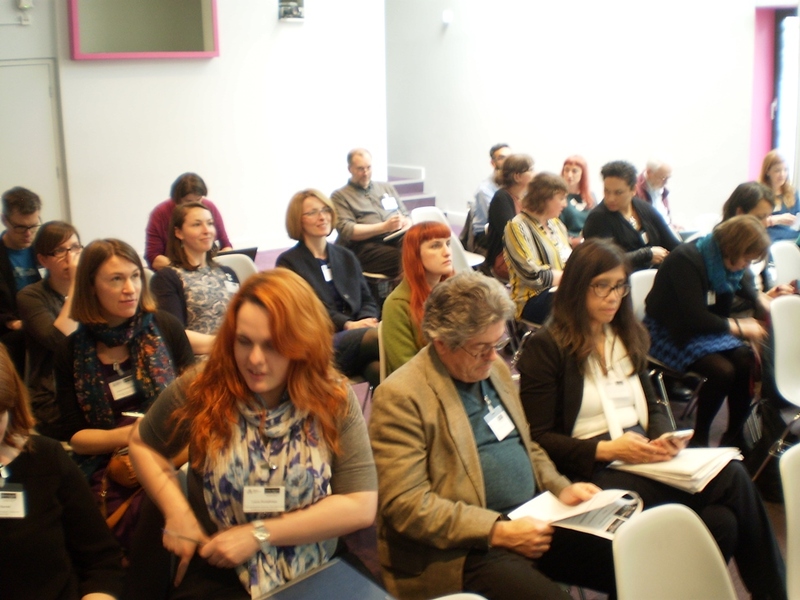 It works well for the sector, it’s a space for colleagues and MEG members to publish quite easily on a wide range of projects and research UK museum ethnography. More established researchers may well save their best ideas- most creative use of theory and method for the peer review journals but that’s fine by me! JME does not need to be ground-breaking- it needs to be informative and interesting. Once we continue to have well written papers that give new insights into the history meaning, use and significance of ethnographic collections in the UK (and sometimes abroad) then I believe we are succeeding. My initial intention was to present a more balanced opinion – weighing up the positives and negatives but in thinking through this- I position myself as opposed to the change. That said, I am open to all ideas people may have and understand it is up to MEG members to decide. I am not resistant to change and indeed one change I could see for JME is that it becomes even more democratic- following Open Source models etc. (not now but maybe in a few years). The key things we need to ask ourselves on this issue are: Why do we want JME to change? And who is the change for? Jeremy Coote, Former Editor of JME, Pitt Rivers Museum. In the ten years (11 issues) that I was Editor, it was always my aim to try to make JME as accommodating as possible to the widest range of contributors, while ensuring academic and scholarly standards. I have never seen JME as an academic journal, serving the academic community. In my view it is and should be a professional journal, serving the needs and interests of the membership. It is, however, always in danger of becoming too academic. If anything, in my view, MEG needs to think less about making JME appeal more to academics through becoming a refereed journal and to think more about appealing to the wider membership (and non-members working in museums whom we would like to join us) through publishing less academic (though always respectable) contributions. It should also not be forgotten that the refereeing process can be very time-consuming for the editorial team, who already do a fantastic job for little recompense. As I remember it, Anita Herle adopted the referred approach for JME17 and found it so time-consuming that the committee agreed not to repeat the experiment. Alison Petch, Former Chair of MEG, Pitt Rivers Museum. One of the reasons that have always been persuasive in deterring refereeing for all articles, in my opinion, is that refereeing may well be off-putting for members (who have written interesting articles) who wish to submit. The journal in the end is a service to MEG members, not to the wider academic community. It should have the highest standards of editing and writing but it should also reflect its many members and their interests. This includes people working in academia but it also includes volunteers and staff working at local authority, private, university and national museums. Not all of these people are forced to jump through academic hoops but all of them probably have an interesting article or two they could write which would inform MEG members. If we start refereeing I would argue that we are likely to receive many more submissions from non-members who require brownie points for their academic work. I have no objection to non-members publishing in the journal though I think they should be encouraged to join. But I believe non-members contributions should be outweighed by MEG members who have lots of things to say and share (some of whom will also be academics). If refereeing puts the non-academically minded members off submitting then I think that is a very sad thing and it diminishes JME. I have never heard anyone suggest that JME throughout its history has not been of the highest possible standards both in editing and in writing. Why bother to change a working formula for the benefit of only a few members? Whilst most members associated with MEG may be highly qualified and capable of producing papers suitable for peer review, for many of the members, the particulars of their situation make it impractical. Few of us are any longer in the privileged position to be specialists in our fields. As generalists, we require more time, energy and access to suitable materials in order to collate well referenced papers that could be put forward for peer review. The nearest places to me with good quality libraries, with sufficient material on ethnography are in London - it just isn't practical to access them as part of my working week. Nor is my museum in the financial position to subscribe to web based services such as JSTOR, which would at least lessen the need to travel. It seems to me that unless you work for a national museum, or one connected with a university, you will suffer this problem to some extent. In addition, I agree with the points laid out by other MEG members, particularly those concerning the ROLE of MEG and therefore of the Journal. I do not see why a body designed to promote good professional practice and one that promotes rigorous academic work need to be mutually exclusive, but I do not feel the latter should outweigh the former. 1. 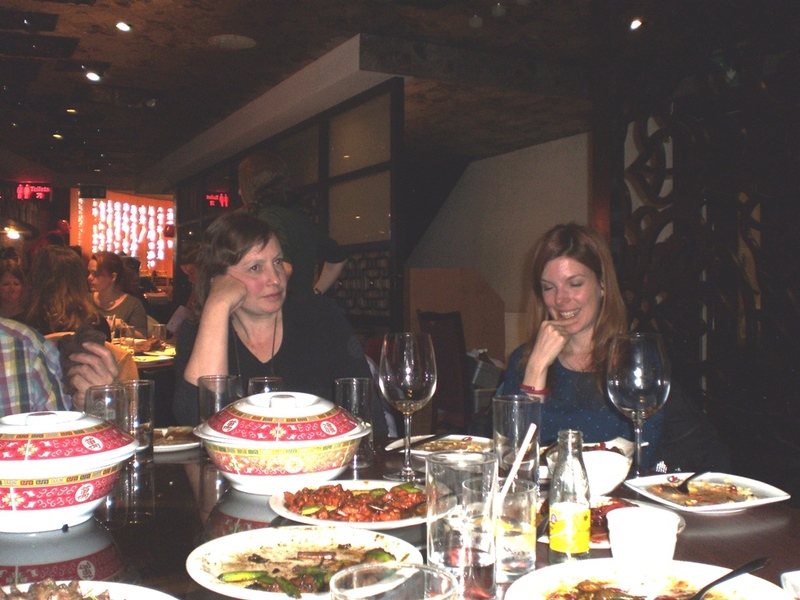 Claire Wintle, Former Secretary of MEG, University of Brighton. Peer review does not necessarily mean changing the style or purpose of articles submitted to JME. Peer review can function differently for different journals and if some JME articles were to be reviewed this would not necessarily mean that JME would become an exclusionary, more ‘academic’ journal. Properly briefed referees would – as befitting the journal of MEG as a Subject Specialist Network – act as supportive commentators or ‘critical friends’ that could add useful perspectives and advice to their colleagues’ work and ideas on particular issues and themes. One suggestion is that all full papers be refereed, but a non-peer-reviewed short report section would continue to allow those who do not want to engage with this process in any form to contribute. But to reiterate, peer review should be seen as a supportive process. Indeed, I would suggest that referees be drawn from the membership itself: the MEG committee have had a number of discussions in the past about how to further engage the membership in the work of MEG; drawing upon MEG members in this way seems a great opportunity to do just this. This manner of peer review would also reflect the democratic ethos of MEG, allowing a range of professionals to support the work of the editorial team. The MEG membership includes many academics, PhD students and museum professionals working at institutions that are subject to the Research Excellence Framework (e.g. 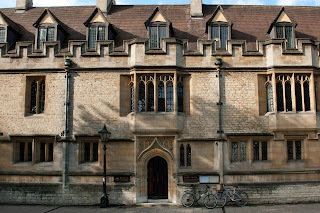 Cambridge MAA) or other research strategies which require publication in peer-reviewed journals (such as the BM). Indeed, the categories of ‘academic’ and ‘professional’ are not exclusive and individuals that work in both HE and museums throughout their careers (and even at the same time) are not unusual. A peer-reviewed section of JME would solicit more contributions since it would allow all members – including these individuals and groups – to meet their professional obligations while still publishing in the journal that helps them to connect with their colleagues and that represents their sector. Andy Mills, Current Secretary of MEG, University of Glasgow. My personal concerns about the issue of JME becoming partly peer-reviewed don’t focus on why we might choose to change its current editorial practice. Rather, I am concerned that our Journal isn’t peer-reviewed; I was genuinely surprised back in 2007 to learn that it isn’t, and I am concerned about the message that sends to the world about the Journal, the Museum Ethnographers Group for which it serves as the primary durable record, and museum ethnography as a sub-discipline. In previous years, when this issue arose, it was argued by some that the Museum Ethnographers Group is not an ‘academic’ group and therefore the Journal of Museum Ethnography should not adhere to ‘academic’ criteria of quality control. I take another view, that MEG is a ‘broad church’ including both academic and non-academic membership. Our ‘new blood’ membership is almost universally qualified to postgraduate level in Museum Studies, Museum Anthropology or World Art Studies. Staff-members of the university museums have played a formative and often dominant role in the life and direction of MEG. Moreover, much ‘academic’ research into Ethnography / World Cultures collections is produced by the curatorial and collections management staff of national and local authority museums – for whom there is no lesser expectation and responsibility to publish at international standards of quality. Peer review is the only widely-recognised method of pursuing those standards. When any of us needs to conduct background research into the collections we care for, we are consuming peer-reviewed publications as standard practice. Few of us with the inclination to present our research at the MEG conference (or any other) and have it published in JME are unfamiliar with the forms and quality standards of peer-reviewed articles. However, my personal view is that – to all intents and purposes, and from the reader’s viewpoint – JME actually is an ‘academic’ journal, whatever some might argue. Take down and look over any issue published in the last ten years: The majority of papers address highly specialist topics in museology, world art history, material culture studies, or the history of collections; they employ the ‘academic’ system of referencing to a broader body of literature; they systematically offer a central argument by marshalling evidence in a coherent way towards a set of summary conclusions; they emerge from a themed annual conference. These are the basic features of academic journal publishing, and so MEG is actually publishing an academic journal without adhering to the internationally-accepted standards of quality control for academic journals. If we want JME to take an explicitly non-academic format, we shouldn’t be publishing it in an academic format, but rather something more journalistic of wider public relevance. None of our members can believe that museum ethnography is somehow less rigorous or substantial than museology, anthropology or archaeology themselves? Why, then, are we allowing ourselves to shy away from the same quality assurance methods employed in their publications? It is undeniable that introducing peer review into the editorial process would generate more organisational work for the editorial team and require tighter submission deadlines for contributors. Previous editors and committee members have formerly argued that the process of peer review might intimidate junior members and discourage them from submitting papers to conference through fear of having their submissions rejected. It is the membership of MEG itself, however – our peers - who would provide the core population of reviewers. As a result, it is hardly as if peer review would force an alien system of values onto the contents of JME. More importantly, a reviewer recommending outright rejection is either a mark of a seriously flawed piece, or the reviewer’s unresolvable bias – which the good editors we have at JME would easily differentiate. Some people have argued that JME doesn’t need to be peer reviewed because it is primarily intended for its membership. It’s very doubtful that the membership of MEG is greater than the total readership of the JME. I also don’t believe that our members expect a lower level of quality control from the publication that their membership subscriptions support than the other journal articles they download from the internet or find in their local library. Furthermore, in recent years, a major achievement of the Committee was to arrange for the back catalogue of JME to become globally available through JSTOR. We are now writing to the world. Given the global coverage of MEG’s interests, the idea that people from the source communities all over the world who created the artefacts we write about, are for some reason not very carefully and critically reading what we write about them is unsupportable. For this reason more than any other, we owe it to our cultural stakeholders and ourselves to pursue the highest standards of quality control over what we publish. Stephen Welsh and Nick Merriman welcomed us to the Kanaris lecture theatre at the Manchester Museum, where MEG last met for an AGM and conference in 2009. Manchester’s ties with MEG go back to our early years and the input and support of both Frank Willett and George Bankes. 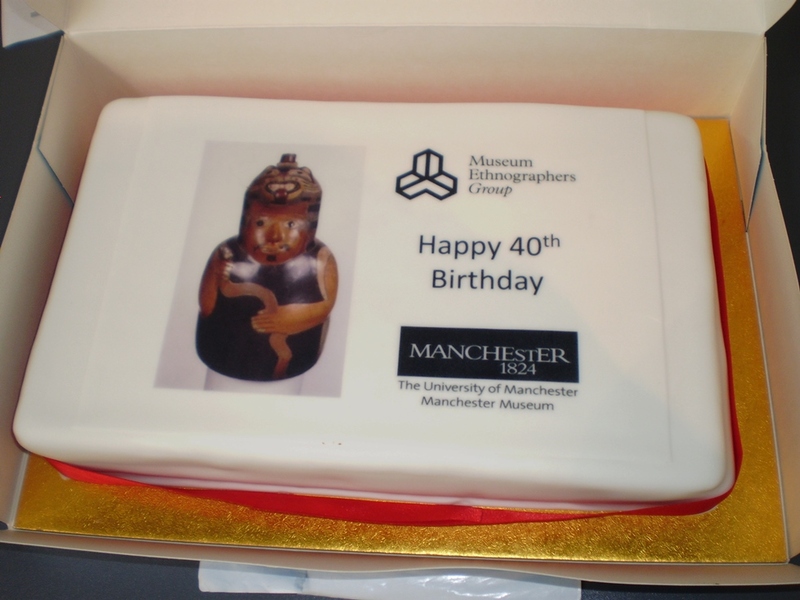 We were delighted that Catherine, George’s widow, had made time to attend this year’s conference with us, and the special MEG 40th birthday cake incorporated one of the Moche pots George worked on into the digitally printed icing. 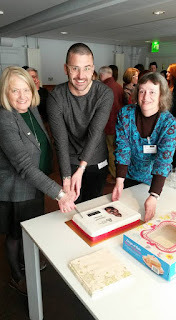 Since 2009 the new main entrance at Manchester Museum has come into its own and the curators have been working across departments and across the University on the new Life gallery and a lively exhibition programme. Now the museum will expand again using a special government grant of £5 million for the development of a new South Asia gallery in partnership with the British Museum. 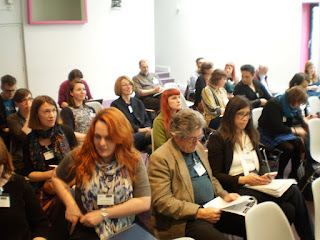 Session 1 of the conference had a strong Asian bias with a paper from Frederike Voigt and Rosanna Nicholson on the Maharaja Duleep Singh’s collection at NMS and an outreach project to involve a Glasgow Gurdwara in this and in visits to CastleMenzies in Perthshire where Duleep Singh first lived in the UK. The links are celebrated in a new work by the Singh sisters (Amrit and Rabindra), the well-known UK Sikh artists who are twins. This was a highlight of the Indian Encounters exhibition from Nov 2014 to March 2015 at NMS. Then Ruth Garde took us behind the scenes at the Wellcome’s recent ‘Tibet’s Secret Temple’ exhibition in London, discussing the visioning of the exhibition, its structure and the complimentary role of film and exhibits. 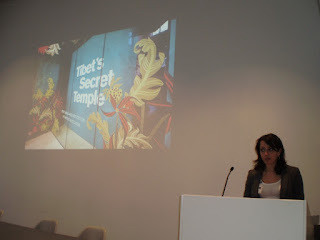 Emma Martin posed the dilemma of how to communicate the key non-religious sides of Tibetan culture, the gambling and drunkenness, and the variety of contemporary art, to stop the viewer responding to Tibet as an ‘out of time’ Shangri-La. In Session 2 Marek Romaniszyn discussed a major contemporary collecting project on the music scene at Leeds Festival, undertaken over several years and a new community partnership exhibition, ‘Leeds Queer Stories’. Chris Wood, curator of the Ickeny collection, shared his thoughts on the topic of faith in museums so far, and Caroline van Santen talked to us about the options for improving local and visitor understanding of the role of religion and belief in the Zeeuws museum in Middelburg which is situated in a former Abbey. We gained some great insights into the history of Zeeland, as part of the Netherlands. Session 3 was dominated by Death. Lisa Graves talked about the recent Bristol exhibition: ‘death: the human experience’, it’s development and the reactions from visitors to this and a smaller display which reconstructed one of the rooms at the Dignitas clinic in Switzerland. Campbell Price presented the detail of Ancient Egyptian beliefs about death and animal mummies, and their wrappings as shown in the Manchester exhibition which had just closed. Bryan Sitch took us through the lively debate that occurred when Manchester borrowed back the local Lindow man peat-bog burial from the British Museum for exhibition in Manchester (April 2008 – April 2009). That evening many of us had a drink at the nearby Kro bar before moving on to a Chinese meal at ‘The Red Chilli’, also on Oxford Road. On Tuesday Session 4 was devoted to Australia. Gaye Sculthorpe contrasted the development and realisation of the ‘IndigenousAustralia – enduring civilisation’ exhibition at the British Museum with its Australian counterpart ‘Encounters’ at the NationalMuseum of Australia. A core group of British Museum exhibits travelled to Canberra. Both exhibitions were part of a broader collaborative project between the National Museum of Australia, the British Museum, the Australian National University and a range of Aboriginal and Torres Strait Islander communities across Australia. The exhibitions were the climax of years of research and community engagement, and the two catalogues and more than 10 short films are a benchmark in this continuing history. Rachel Murphy then discussed some of the findings of her PhD research on attitudes to Aborigine art in terms of its needing a spiritual audience. After the AGM we had six brief Work in Progress sessions. Sushma Jansari, Project Curator of the Asian Ethnographic Collections at the British Museum was too ill to attend so Stephen Welsh read out her paper on South Asian items with strong Manchester links at the BM. The colourful labels for export cloth were particularly stunning. Klas Grinell, Curator of Contemporary Global Issues at the national Museum of World Cultures in Gotenburg told us of his initial findings on how Islam was dealt with in Museums in Europe and the UK. Katy Barrett and colleagues from the National Maritime Museum looked at the issues of Christianity in the Pacific in their shortlisting of items for a new gallery. Inbal Livne described the success of a recent work on bringing the Sudanese collections to life at Powell-Cotton museum, using community input from London. Then Adam Jaffer and Rebecca Bridgman talked about the new Faith in Birmingham gallery. Rebecca also put out an advert for MEG member involvement in the new Islamic SSN. Andy Mills described the early stages of work on a major AHRC funded backcloth project led by the Centre for Textile Conservation & Technical Art History at the University of Glasgow and Kew. The project will examine the collections at The Hunterian Museum, The Royal Botanic Gardens Kew and the Smithsonian Institution, using stylistic analysis, ethno-history and the history of collections, and cutting edge methods of scientific analysis and conservation. Finally after a short tea break we ended the day with a consultation session by the National Maritime Museum on the issues they hope to cover in their new Pacific gallery. Plans to create a World Gallery at the Horniman Museum and Gardens have received the green light, thanks to confirmed funding from the Heritage Lottery Fund (HLF), announced today (10 May). Thousands of objects will tell stories from around the world, celebrating the wonder and complexity of what it means to be human, in the new world-class anthropology gallery opening in 2018. Alongside this will be a studio, home to a cutting-edge programme of performances and exhibitions inspired by the Horniman’s internationally important collections. HLF has awarded £3.3m to the project, which will also fund a learning and engagement programme. The Horniman is raising a further £1.4m of funding to complete the project. The Horniman’s current anthropology galleries will be closed to the public from September 2016. Join Pitt Rivers Museum and Museum of Natural History for an interactive, atmospheric journey through the Pacific! 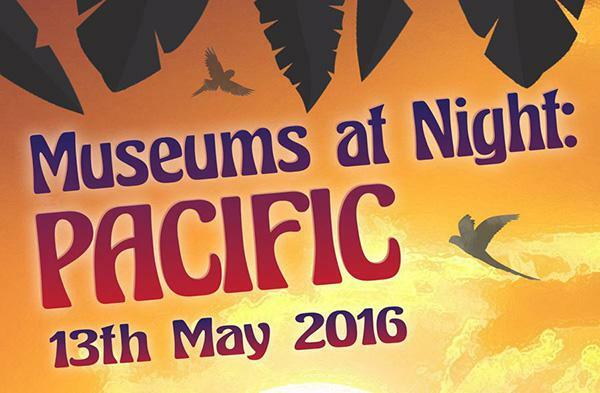 Help make a Hawaiian feather cloak, handle genuine objects from the collections and explore the galleries amidst the sights and sounds of the South Pacific. Then alight for refreshment at the bar whilst listening to live music from Oxford Ukuleles. Book now. The first major UK exhibition dedicated to contemporary African fashion. In this ground-breaking new exhibition Brighton Museum explores the global influence and diversity of African fashion, from couture to street style. Discover the story of contemporary African fashion through the looks and words of individuals – including designers, stylists, photographers and bloggers – from four cities at the compass points of the African continent – Casablanca in Morocco, Lagos in Nigeria, Nairobi in Kenya and Johannesburg in South Africa. Developed with African fashion specialists Hannah Azieb Pool and Helen Jennings, this exhibition features some of the most exciting names and labels in contemporary African fashion. It provides a snapshot of fashion practices in these cities and an introduction to some of the stories behind the style, from the use of social media to create new platforms for fashion to the impact of the huge market for imported second-hand clothes. 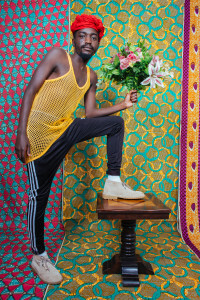 The exhibition includes a wide range of apparel alongside images, film and sound evoking the drama, creativity and dynamism of these unique African cities. This temporary display highlights an original print by Charles Dodgson (Lewis Carroll), a photograph of eight-year-old Ella Monier-Williams ‘Dressed as a New Zealander’, taken in Oxford in July 1866 and recently acquired by the Museum. The case display examines Dodgson’s staging of the photograph – for which he borrowed objects from the University’s collections – and presents new research findings identifying these objects, which are now in the Pitt Rivers Museum, alongside a number of the objects themselves. 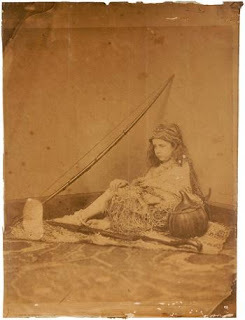 Several of the items used as 'props' in the photograph are from the important Forster collection made during Captain James Cook’s famous second voyage to the Pacific. Following from St Cross talks on the theme of early female fieldworkers in Michaelmas and Hilary terms, this workshop will bring together themes around women’s involvement in early travel-based scholarship. It will consider then educational, social and political background of early female explorers, travellers and fieldworkers along with their experiences in the field and their output and legacy in collections, publications, talks etc. The discussion will explore the need for such studies of women as well as what there is to be gained from studying their often neglected contributions and legacies. Discussion lead by Dr. Frances Larson and Dr. David Mills. interested in attending should send an email to Jaanika.vider@stx.ox.ac.uk with a few words about their particular interest in the topic. There is also limited number of spaces for the dinner afterwards (at £14) – guests of the College interested in attending the dinner should mention their interest in the email. The workshop will be followed by wine reception in the St Cross room from 6.30pm. Sponsored by St Cross College. The Victoria and Albert Museum is seeking to appoint a Curator for the South Asian collection. The Museum is looking for a scholar with relevant expertise, especially in the field of textiles, and the willingness and ability to communicate that knowledge to a wide audience. The successful candidate needs to have a degree or post-graduate qualification in a relevant field and experience of working in a museum. Closing date for receipt of applications is midnight 30 May 2016. Interviews to be held on Friday 10 June 2016. For full details on how to apply and job description visit the V&A website.